HD28 PD 28 Volt Combi hammer drill providing the same performance as corded tools, whilst being more compact and lighter in weight. Patented DPM electronics protect both the battery and the tool from overload, overheating and voltage drop. A 13mm Rohm Chuck and all metal gear case provide maximum durability. Capacity: Wood: 65mm Steel: 16mm Masonry: 20mm. HD28 AG 28 Volt heavy-duty angle grinder with digital power management to protect battery, motor and switch from overload damage. With FIXTEC nut and burst resistant tool-free safety guard.AVS side handle for less strain. 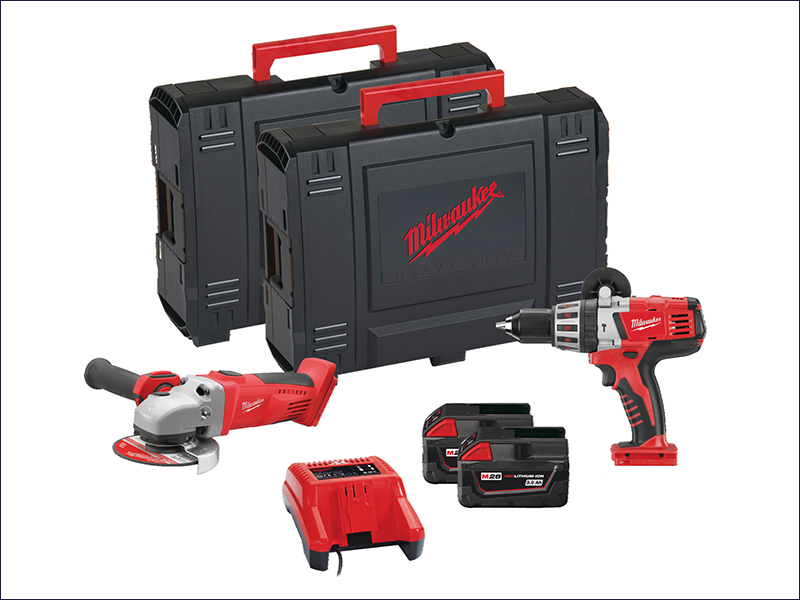 Supplied in 2 Dyna Cases with 2 x 3.0Ah REDLITHIUM-ION™ batteries and M28 C Charger.